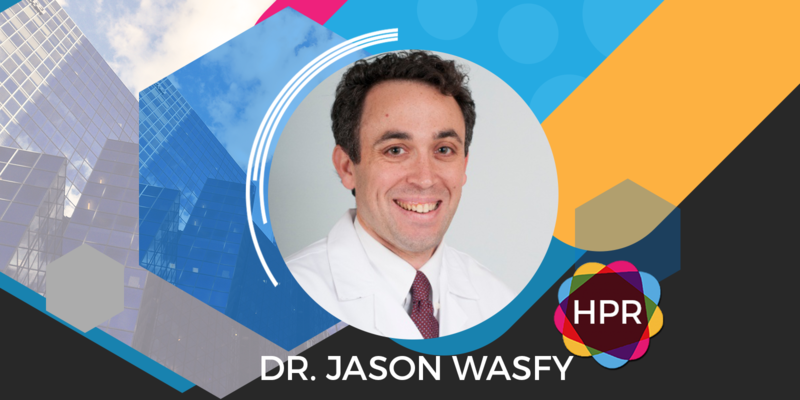 Segment Overview: Dr. Jason Wasfy, MD, Assistant Medical Director, Massachusetts General Physicians Organization, Director of Quality and Analytics, Massachusetts General Hospital Heart Center talks about his work and the research and topics he presented at the American Heart Association Scientific Sessions (Nov 2017). Guest Bio: Dr. Wasfy is Director of Quality and Analytics as well as the Director for Outcomes Research for the Mass General Heart Center. He is a cardiologist in the Cardiac Unit Associates and a cardiac intensivist in the Cardiac Intensive Care Unit. He is also an assistant medical director of the Massachusetts General Physicians Organization. His research focuses on health policy and outcomes in cardiology, focusing on safety and value for patients. Previously, he was the administrative fellow in cardiology and the Roman DeSanctis clinical scholar at the MGH. He holds the S.B. from MIT in chemical engineering (2001) and the M.D. from Harvard Medical School (2007). He also holds the M.Phil. from Oxford University (2003), where he was a Marshall Scholar.